Have you sobbed long and hard yet? No? Well, hurry up then! I’m on a tight schedule! Please click on this picture, because if i did it right, there’s a link to the sign-ups in here, and the more the merrier! * ATTENTION: only participants of this read-a-thon can enter any of the giveaways hosted! For those of you who are super-observant, you may have noticed that the read-a-thon actually started the 21st, which was yesterday. That’s okay, though, because I was able to sign up yesterday thanks to that awesome rule, and that means you all can too! 😉 Before I start rambling again, how about I tell you the challenges? And finally, Thirteen Reasons Why definitely scares me. I’m always scared of suicide books, but this one in particular has intimidated me for a long time. It took me a while to come up with this combination to cover all my bases, haha! I’m planning on having three posts over the course of this week; one today (duh), one Thursday/Fridayish, and hopefully one on Sunday the 27th. 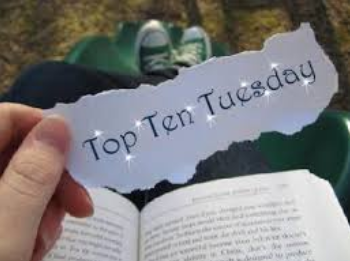 This week’s topic is Top Ten Books On My Fall TBR, which I translate to mean The First Five Books I Think Of That Are On My Fall TBR. Let’s get started, shall we? Nope, no pictures… Ain’t nobody got time for that! Anyway, do I really have to add anything more? Honestly, the first two books were just, *sigh* and HoF was just, !!!!!!!!!! I don’t think I could handle NOT KNOWING WHAT HAPPENS NEXT. The horror! I know it hasn’t come out yet, but it comes out in November, and that’s totally still fall. I actually have no idea how I’ll get a copy of this (I’ll probably have to buy it), and I was really disappointed in the reviews for it, but the blurb is just SO DARN INTERESTING!!! I’ve actually had a huge issue with picking this up, but I have a copy and I saw the movie and my brain can’t handle that either. So it’s on the list. Let’s just be honest, what blogger is completely oblivious to hype? Probably none except the ones hiding under a rock. (AKA none) This book has had some, mostly good, so I am very eager to test it out. Have any of you read these eight books? Hope to? Heard things? Are you a part of the read-a-thon? Have you been before? Do you plan on joining in now? What are you reading? Tell me about it! Or just say hi. 🙂 You know I’ll stalk you back! Toodles! ‹ PreviousWhere did the time go? Hope you’re doing well on the read-a-thon! 🙂 I haven’t read at all yet today haha. Unless you count schoolbooks and blogposts. Don’t apologise! I completely understand- I’m really busy as well 😦 Breaks are good! 🙂 Glad you’re back(ish) now!